Japan’s known for its award-winning distilleries, but to get a true taste of whisky in the land of sushi and karaoke, head to its bars, writes Angus MacRaild. For all its flaws and frustrations, the 2003 film Lost in Translation captures something of the impenetrability of Japanese culture to westerners. 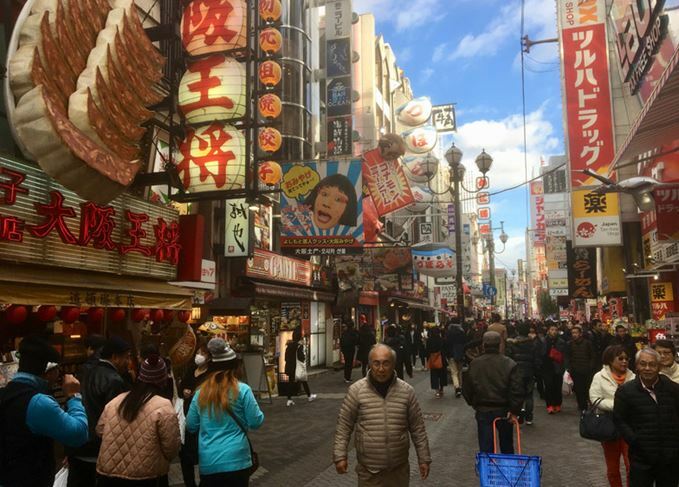 The image of Bill Murray, lofty and alone, in a Tokyo that sways between cacophonously neon and seductively alien, is one that speaks to a lot of westerners and the kind of cognitive dissonances we often hold about Japan. For whisky enthusiasts there is the added allure of whisky itself, a drink for which the Japanese have long possessed a deep and lasting passion. Japan presents the curious whisky traveller with famous distilleries and an almost mythical bar culture, not to mention a gnawing curiosity about the country itself. With trips to Taiwan and Singapore already in the bag for December, it seemed daft for me not to make the effort and finally ‘do’ Japan as well. Three of us are travelling: Emmanuel Dron, owner of the famous Auld Alliance bar in Singapore, his wife Hitomi Matsumoto and myself. For this trip our mission is bars; distilleries will sadly have to wait until next time. Japan is a deceptively sprawling country. To visit the distilleries, and add a selection of bars into the mix as well, would involve a serious amount of travelling. Even the relatively targeted selection of bars on our hit list takes us to Tokyo, Osaka, Kyoto and other rural provinces. For us the imperative is the bars: they represent an aspect of Japanese whisky culture which, given another 10 years of ravenous and increasingly financially muscular interest, may not exist in their classic form for much longer. What becomes immediately apparent is that we would be lost without Hitomi. The language barrier in Japan is not so great that an English speaker cannot navigate the more traditional tourist routes and attractions. Deviate from this, however, and it is extremely easy to find yourself suddenly, and quite emphatically, out of your depth. Impressions of Japan as busy, intense and complicated exist in people’s minds for a reason. Sprawling train stations and crowded public spaces; streets that throng and pulse beneath an overabundance of signs, slogans, information and life can become quickly overwhelming. However, this is matched by deeply serene experiences as well. Dining, drinking and public transport can supply you with islands of pure calm, and exist in sharp juxtaposition to the bustle that often occurs between those points. To understand some of the phenomena surrounding contemporary whisky-drinking culture in Japan, it is important to understand something of the country’s recent history, particularly in relation to Scottish whisky. While domestic brands such as Suntory White Label have been hugely popular for decades among the general population, obsession with Scottish single malts and older or rarer whiskies began to take a serious hold in the 1980s. We often think about the Italians as being ‘ahead of the curve’ in this sense, but the same argument could be made for the Japanese. A number of collectors and bar owners, buoyed by an era of comparatively cheap prices and a booming domestic economy, bought large stocks of quality Scottish whisky in the 1980s and 1990s. Independent bottlers such as Kingsbury also emerged and quickly gained influence. This, combined with a deeply rooted bar culture in Japan, created a breeding-ground for what European whisky lovers frequently dub ‘crazy whisky bars’. You can only guess at how many bars there are in Japan, but it likely runs well into the hundreds of thousands. Many are small: snug, rectangular rooms stacked on top of each other in multi-storey apartment blocks. Themes are also common: music, cocktails, wine, cigars, girls, boys, karaoke, whisky... you name it. Their signs, stacked externally on top of each other, glow and grace the crowded streets of cities and towns. Dron marvels at how, each and every time he visits Japan, he discovers new whisky bars he has never heard about before. It’s easy to see why. Some are famous – Bar Parkmore, Bar Caol Ila, Bar Rosebank, Rogin’s Tavern (see below) – the list could go on a long time. However, many are also obscure. On more than a few occasions, secrecy about names and precise locations has to be sworn. The selections in these bars tend to be either vast and expansive, or smaller and more focused. The majority of whisky on offer is Scottish, the variety of Japanese single malts being curiously narrow. For some of the smaller bars there can sometimes be as few as six spaces available, often reserved for regulars and advance bookings, and usually commanding a cover fee. Don’t go with the expectation that you’re guaranteed to be able to get into all of these establishments, especially if you’re travelling in a larger group. Research and establishing contact first is often essential. The ritualistic aspects of Japanese bar culture are richly evident as well. The politeness and respect between bar manager (or ‘master’) and customer is of deep importance. More often than not you’ll enter, shake hands and bow, be seated and presented with a warm, moist hand towel – a refreshing phenomenon you come to anticipate keenly. The people running these whisky bars are often skilled cocktail makers as well, and many feature small but painstakingly curated cocktail menus in addition to the whiskies. The freshness of the ingredients and the way fruit often dominates the cocktail, rather than a mix of spirits and syrups, is both striking and pleasing. Bar owners will often take as much deft care over the creation of a simple Highball as they would over more elaborate cocktails. Everything from the preparation of ice to the measuring and combination of ingredients is carried out with the kind of eye-skewering, single-minded dedication of which the Japanese have made an art form. The Highball in particular is something which has gained increasing prevalence in Europe in recent years. My own awareness of it came through whisky friends who had ventured to Japan and come back raving about its myriad qualities – simple, refreshing, delicious. When done properly with a good, robust single malt, it can be all of these qualities and even – dare I say it – transcend the similar allurements of beer. My own preference is for a full-bodied benchmark malt such as Springbank 10, Bowmore 12 or Clynelish 14 and a quality, fine-bubbled soda over a hefty shard of ice. The addition of citrus fruit and other garnishes is popular in Japan, but it’s a drink which feels at its most pronounced and effective in its simplest form. It understandably remains a mainstay of Japanese drinking and dining culture. Perhaps the most lasting impression of Japan is neatly illustrated by standing on the platform at Osaka waiting to board a train and watching as attendants enter the train carriage, swiftly cleaning it to within an inch of its life – the kind of spotlessness that characterises almost all public spaces in Japan. Then they even bow to the patiently queuing passengers on the platform before departing. Travelling by train in the UK and using the likes of Southern Rail feels suddenly very far away. This kind of respect is ingrained into Japanese life – respect for people, respect for infrastructure. It runs through the culture and under the foundations of the wider society like roots. You see it from the moment you enter immigration at the airport, to the simplest public interactions. Japan is not a trip to undertake lightly. Preparation, politeness and patience are all essential, as – I would suggest – are good, like-minded travelling companions. The country offers the kind of cultural and spiritual zap to the mind that sharing only serves to elevate. Not only does it illuminate a corner of important recent whisky history, which all too often languishes in the shadows at the periphery of western perspective, it’s also a country and culture which expands your perception of what appreciative drinking should be about, and how it can be done. It is also a place which – with enough bars and restaurants to fill a lifetime – would bear any number of repeat visits. If you’ve never been, go. Owned by Seiichiro-san, Rogin’s Tavern has been an institution for more than 40 years. Incredible selection of antique Bourbon and American whiskey, alongside some extremely rare Scottish whiskies and terrific cocktails. The jukebox is a bonus! Another Osaka institution and a classic example of a small, hideaway bar with a remarkable selection of drams and some beautiful cocktails. Another wee gem of a bar. As the name suggests, you’ll find a broader mix of spirits here, but the selection and the service is superb. For food in Kyoto, try to check out Ishihara if you can, in the Pontocho district. It’s a tiny, one-table, family-owned restaurant, under the same ownership since the 19th century. The food is exquisite and there are some terrific wines and sakes to try as well. There is an abundance of places to eat and drink well in Tokyo. A good place to start is Bar Cask Strength, a subterranean, stone-walled and wood-rich bar brimming with many terrific and rare whiskies to try. The cocktails are also exceptionally good and often wonderfully refreshing. Add to that some extremely attentive and polite service and you have a perfect introduction to Japanese bar culture. A small, Michelin-starred sushi restaurant where the seats line the bar and you can sip sake and enjoy watching the chefs at work preparing some quite stunning food. Whatever your poison, Tokyo’s Bar Wodka Tonic, from the same team as Bar Cask Strength, has drinks to suit every palate. Along with an enviable malt whisky and sake selection, expect to find seasonal cocktails, Highballs and speciality food served until 4am every day. Simple, alluring, delicious, yet the Highball is shrouded in mystery, says Dave Broom. From quirky designs to old and rare liquid, Japan is enamoured with the indie bottling culture.